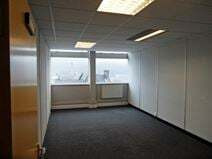 Based in the centre of Shipley, the centre boasts a fully equipped set of office suites, with workstations ranging from two up to eight. Terms are available on a simple 12 month license inclusive of bills. Other amenities include 24 hour access, an open plan layout, kitchen facilities a great location. The centre is located directly in the heart of Shipley, giving tenants easy access to everything the town centre has to offer and being within a four minute walk of the station. In the UNESCO World Heritage Site of Saltaire this former cloth mill is just 20 minutes from Leeds and now provides a mix of light and airy private offices, modern meeting rooms and a co-working hub. The mixed-use premises have already attracted technology, landscape architecture, electronics manufacturers and graphic design companies. Saltaire Station offers services to Leeds, Bradford and Skipton. A range of flexible, managed office or studio accommodation available within a complex located in Shipley. Close to the local amenities of Bradford city centre, the location allows for quick and easy travel to Leeds and the surrounding areas.